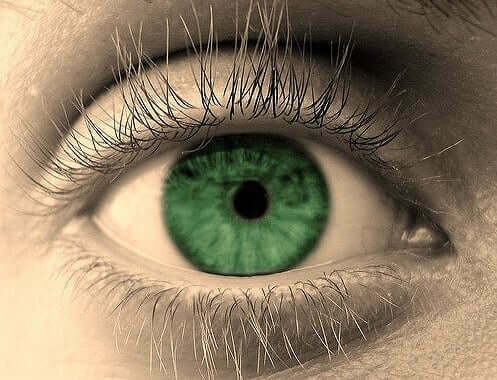 Although many of our bodily organs are highly symbolic of many virtues, our eyes are certainly near the top of this list. Our eyes are, quite literally, a passageway of information and visual stimuli. This is, however, very symbolically rich. This hallway of movement can also be viewed as an ethereal one, a gateway to the unknown yet desired. Making this journey leads one to spiritual enlightenment. While some are predisposed (and thus more inclined) to visions, we can all train our eyes (both literally and figuratively) to see more deeply. Apart from spiritual vision quests, the eyes can also speak of focus and intelligence. It also symbolizes an increased sense of perception and awareness, and, perhaps most literally, observations. While all our senses are important and play their own important roles, our eyes allow us to take in such a wide range of beauty. If we train them, we can see even beyond what is right in front of us. Eye symbolism also carries somewhat prophetic messages. Think of fortune tellers and wise shamans who experience visions of the future. To “see” is truly a gift. Ancient alchemists and astrologers, among other mystics, recognized the stars high up in the sky as great seers capable of foretelling events. This is how the practice of charting the stars and their apparent movement of planet patterns came into use. Our eyes have had symbolic meaning throughout ancient history. Although most of us consider them to be a basic function in our lives, we often under-appreciate the ability to see. This explains why blindness, both literally and figuratively, is mentioned so frequently in stories and traditions. For example, the ancient Egyptians made reference to the Eye of Horus, also know as the eye of Ra, the sun god. This eye was a symbol of protection and life. However, the Egyptians, as well as other Western traditions, made distinctions between the symbolic inclinations of the right and left eye. While the left eye was considered to be in possession of lunar traits, it was the right eye that held solar ones. The eyes were thus opposites, the left eye representing the north with the right symbolizing the south. Later, the Christian tradition frequently mentions the “Eye of God”. This spiritual representation was depicted hovering over symbols of the Tabernacle, which is the temple of the faithful. For them, the eye represented the omnipresence of the Holy Spirit. You can interpret this as either comforting or intimidating- take your pick. Eyes are also mentioned in Hinduism, when we read about the chakras. The Ajna chakra, or “third eye”, represents the spiritual, rather than literal, eye. This controls our extra-sensory perception and intuition. The Hindus adopted this belief after the third eye was depicted on the forehead of Shiva, one of the primary deities. This inner eye has the ability to see all things that the normal eye cannot. As with all symbolism, eyes also play special roles in our subconscious during dreams. When we dream of eyes, we can interpret them as a sign that we need some assistance with clearing our vision. Perhaps we are focusing our efforts on the wrong things and need to make a change to a new direction. We might be missing what is right in front of our faces, as well. However, dreamt eyes can also indicate that you have a particularly special ability to see what others cannot. Develop and practice your capacity to see beyond the commonplace and view the spiritually-inclined visions of the divine nature. Just like in a meditative state, dreaming allows us to view things differently, with a clear mind. Take the symbolism of your dreams and invoke it during times of mediation and mental clarity. Allow your thoughts to become pure and unadulterated so that you may apply the messages of the symbols to your physical life.